“Sinosteel Midwest is a company that has evolved over time,” says Scott Whitehead, the company’s Operations Manager. The company officially started in 2008, when Midwest Corporation, a publicly listed Australian company, was 100 per cent acquired by Sinosteel Corporation, resulting in the formation of the wholly owned subsidiary Sinosteel Midwest Corporation (SMC). Sinosteel is a Chinese owned entity, one of the country’s largest and most influential, and brings expertise and exceptional market contacts to Midwest’s business. 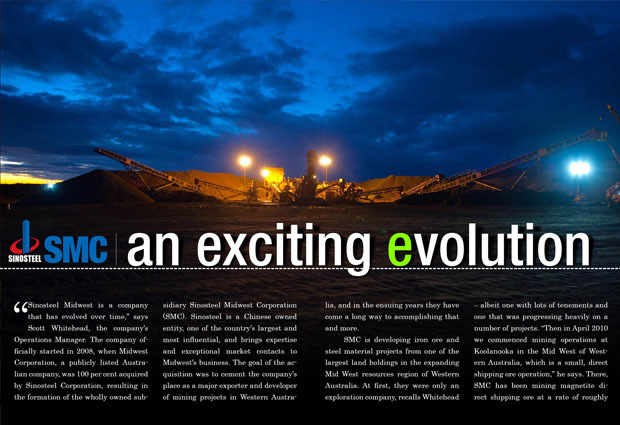 The goal of the acquisition was to cement the company’s place as a major exporter and developer of mining projects in Western Australia, and in the ensuing years they have come a long way to accomplishing that and more. SMC is developing iron ore and steel material projects from one of the largest land holdings in the expanding Mid West resources region of Western Australia. At first, they were only an exploration company, recalls Whitehead – albeit one with lots of tenements and one that was progressing heavily on a number of projects. “Then in April 2010 we commenced mining operations at Koolanooka in the Mid West of Western Australia, which is a small, direct shipping ore operation,” he says. There, SMC has been mining magnetite direct shipping ore at a rate of roughly 1.5 million tonnes per annum. “That’s been progressing well for us,” Whitehead says. The Koolanooka project will last the company another year, at which time they will then move on to their next project, which is only 60 kilometres up the road at Blue Hills. Whitehead himself, who is originally from Victoria, brings a wealth of experience and qualifications to his role. He holds a degree in Mining Engineering with Honours from the University of Ballarat, as well as a Western Australian Unrestricted Quarry Managers Certificate and a Diploma in Frontline Management from Mt Eliza Business School. He has amassed more than 10 years of experience in the mining industry, in multiple states and multiple commodities, and has worked in a variety of departments including Mine Design and Planning, Contracts Management and Business Management. 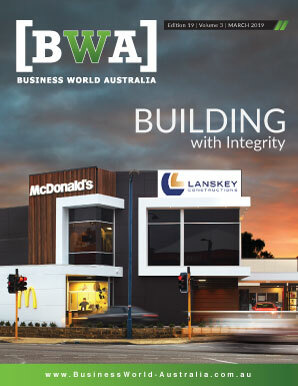 While working for mining titans like BHP Billiton, Incitec Pivot, WMC and Henry Walker Eltin, Whitehead built a strong record of major business improvement projects with strong safety performances. SMC’s operation in Koolanooka is an important stepping stone for the company, and one that will prove invaluable in the years to come. “It’s all about developing and growing our knowledge and our operational experience and building our team,” says Whitehead of the project. “Also, it is providing cash flow to the company whilst we build and develop our larger projects.” The project area is based at the historical Koolanooka mine site, approximately 160 kilometres south east of Geraldton and 20 kilometres east of the Morawa town site. Koolanooka has helped SMC build competencies as an organisation in preparation for their Weld Range development, an important ore project in the Mid West. Ore reserves at the Beebyn and Madoonga ore bodies located at Weld Range are sufficient to support the first 10 years of production alone. Even more, there are extensive areas of that range that have yet to be explored, so the project even has the potential to grow. “We’re continuing to progress that project in terms of approvals,” Whitehead says. “It’s our flagship project, it’s extremely large, and will last a number of years.” Although currently on hold pending development of the Oakajee port and associated rail infrastructure , when it starts Weld Range will be Sinosteel Midwest’s largest project ever, and Whitehead expects to see them extract 15 to 16 million tonnes per annum for 20 years. As an iron ore company, SMC finds it hard to escape comparisons against larger, more established organisations like BHP and Rio Tinto. Fortunately, Whitehead says, SMC is able to use its relative youth as an advantage. “What differentiates us from them is we’re a small, young company,” he says. “What you would usually expect from a large organisation is to come in and have it be explained that ‘We do it this way, this is what you do, and this is how you do it’ – whereas with us, you can be part of the solution of how we build the systems and processes.” Because SMC is a smaller company, they can afford a more personalised approach with customised solutions. “At SMC you are not a number,” Whitehead says. Whereas many companies in Australia were heavily impacted by the onset of the global financial crisis, Whitehead says SMC barely felt a tremor. “We’ve been somewhat insulated from the GFC,” he says. This is both because they are an unlisted company and were not operating at the time, and also because they have the financial backing of their company owners, Sinosteel. Sinosteel itself is a central enterprise under the administration of the State-Owned-Asset Supervision and Administration Commission in China. It is a very large company, ranking 352nd in Forbes 500 Company List in 2010. 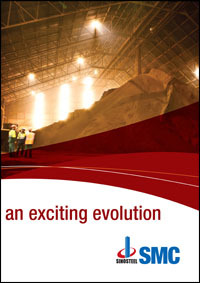 As a whole, Sinosteel is very active in the development, mining, and processing of metallurgical mineral resources, trading, research and logistics. It has a global sales network and logistics system. They will not be going anywhere any time soon, and as a result, neither will Sinosteel Midwest. That corporate backing serves them well and will continue to do so.